Today's card was CASE'd from a card I swapped with at Leadership and I thought it would be a great "Thank You' card for my Necessities Bag donations. The retired Elegant Greetings set worked perfectly - I wish they didn't retire that one! 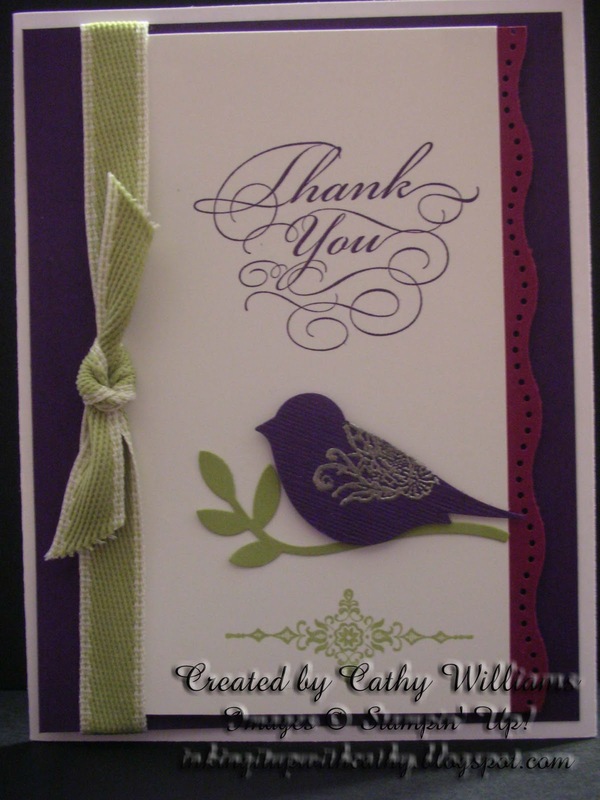 The silver embossing on the bird gives the effect of the bird's wing.